Original ASUS Eee Pad Transformer not getting Android 4.1 Jelly Bean? Manufacturers have been pretty timid in backing Google's latest Android OS, Jelly Bean. 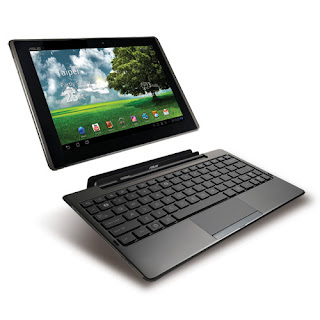 But according to tabletsmagazine.nl, ASUS has come forward to say that the Transformer Prime, Transformer Prime Infinity and Transformer Pad 300 will be getting an update to Android 4.1 Jelly Bean. Unfortunately, it also looks like it's the end of the line for the Original Eee Pad Transformer updates. We aren't sure this is something confirmed as our Dutch isn't too sharp and Google Translate can only do so much, but if it is true this is quite disheartening as hardware shouldn't be an issue to run Jelly Bean. What's most disturbing with this potential news is that ASUS worked on the latest iteration of Android with Google for the Nexus 7 and we find it hard to believe a Tegra 2 Dual Core isn't enough horsepower to run Jelly Bean when a comparable TI OMAP Dual Core in the Galaxy Nexus and the Single Core Processor in the Nexus S are Jelly Bean capable, not to mention that the Motorola XOOM which is just about identical in hardware will be getting Jelly Bean as well. So please forgive us if we are a bit doubtful in the truth of the report.